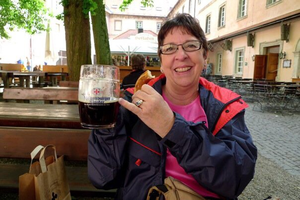 Provide comfort for the family of Dr. Sue Dowd with a meaningful gesture of sympathy. Dr. Sue A. Dowd, age 69, of Johnson, Kansas, died Tuesday, March 26, 2019, at Stanton County Hospital in Johnson, Kansas. She was born March 16, 1950, in Syracuse, Kansas, the daughter of John C. and Anna Mae (Edmisson) Lewis. Sue graduated in 1968 from Syracuse High School, and 1972 from Wichita State University with a Master’s Degree. She married Dusty Dowd in 1973 and lived in New York for a few years, before returning home to Syracuse, where they started Syracuse Flying Service. They later divorced in 1993. Sue completed her PhD in Psychology at Utah State University in Logan, Utah. Sue served her internship at the VA Hospital in Salt Lake City. She then moved to Concordia, Kansas, and worked at Pawnee Mental Health Services. Sue moved to Liberal, Kansas, to be closer to family and worked at Southwest Guidance Center, before moving to Johnson in 2005. Sue went into private practice with offices in Johnson and Ulysses. She was a private pilot and was also a Certified Scuba Diver. She is survived by her daughter, Kate Morrison and husband John of Johnson; brother, Jim Lewis of Winfield; sister, Peggy Lewis Stiles of Johnson; two grandchildren, James Fox and Grace Morrison; and three nieces. Memorial service will be held at 10:00 AM on Tuesday, April 2, 2019, at the First United Methodist Church in Johnson, Kansas, with Reverend Richard Fitzgerald officiating. Memorial contributions may be given to the Ulysses Animal Shelter or Kansas Humane Society both in care of Garnand Funeral Home, PO Box 715, Johnson, Kansas 67855. 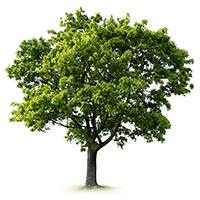 To plant a memorial tree in honor of Dr. Sue A. Dowd, please visit our Heartfelt Sympathies Store. We encourage you to share your most beloved memories of Dr. Sue here, so that the family and other loved ones can always see it. You can upload cherished photographs, or share your favorite stories, and can even comment on those shared by others. Sue was a very special person and friend for many years. We , and she and Dusty, were in the group of Aerial Sprayers we jokingly referred to as the "infertiles". There were five families of us who had tried for years to have babies and failed. One year, all of the five conceived and had girls! We did not see Sue but occasionally, but she was a such a warm, kind person, and we will miss her. Our condolences to the family that loved her. The measure of a life is not what that life accomplishes, but rather the impact that life has on others. - Jackie Robinson Sue was there for me and my kids when we were going through tough times. In addition to her expertise and accomplishments, she provided me with the direction, guidance and reassurance I needed to accomplish my goals. It was her sincere belief in me. She let me know through their words and actions that we were (are) important. I only knew Sue professionally, but I was saddened to learn of her passing. My prayers are with her family during this time. I hope you know how many people she truly helped. RIP Sue!